MerOrca Mermaiding costume for swimming with real shark structure in black/blue. For mermaids and mermens. Fits from child size EU 128 - 140, US/UK 7 - 10, (max. 88 lbs.). Adjustable with hook and loop from shoe size EU 34 - 40 , UK 2 - 7, US 4 - 9. Fits shoe size EU 34 - 36, US 5 - 5.5 , UK 11 - 15. Fits shoe size EU 36 - 39, US 5.5 - 7.5 , UK 2 - 3.5. Fits shoe size EU 39 - 42, US 7.5 - 11, UK 3.5 - 5.5. Fits shoe size EU 42 - 45, US 10.5 - 13 /UK 5.5 - 9. Fits Super and Classic Flipper. 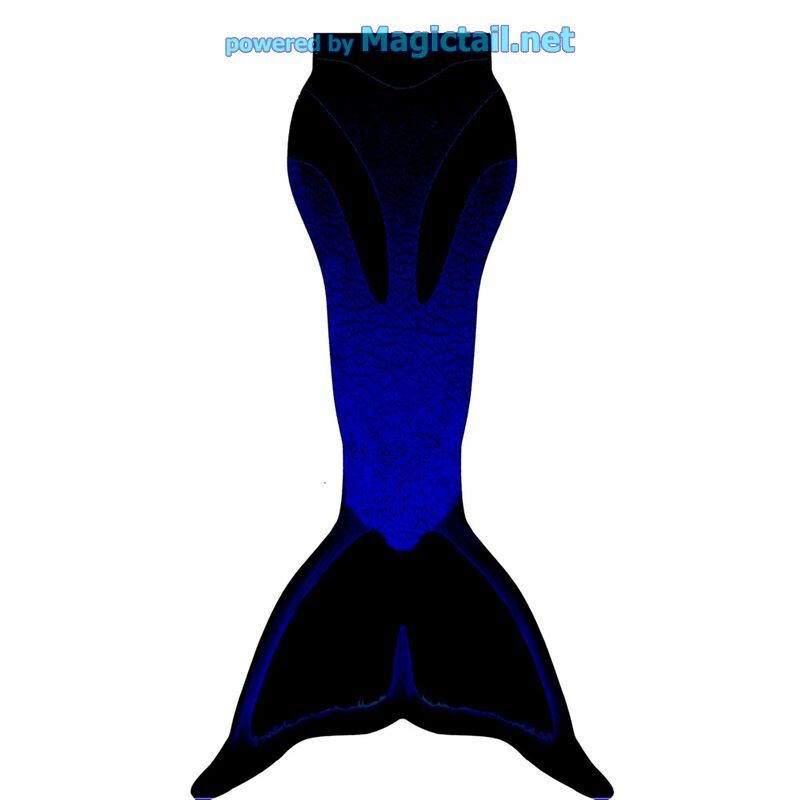 The high-quality mermaiding costume MerOrca with shark structure in black/blue available in 3 sizes. 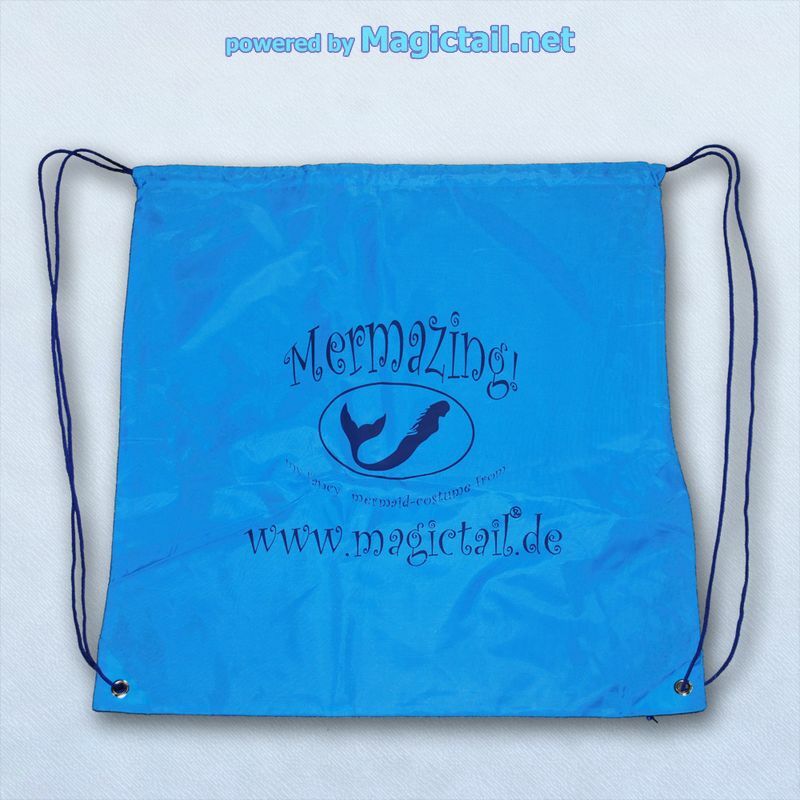 Orignial Magictail bag "Mermaizing M" for a stylish and easy transport of the costume set. The care and operating instructions for the set is always included when ordering. Note: The MerOrca swimsuit "Super" is not a swimming aid and is only suitable for swimmers (at least seahorses). The mermaids "Super" costume MerOrca is in the colors of the deep Atlantic kept with blue and black. The high-resolution digital printing makes the shark structure look totally realistic. 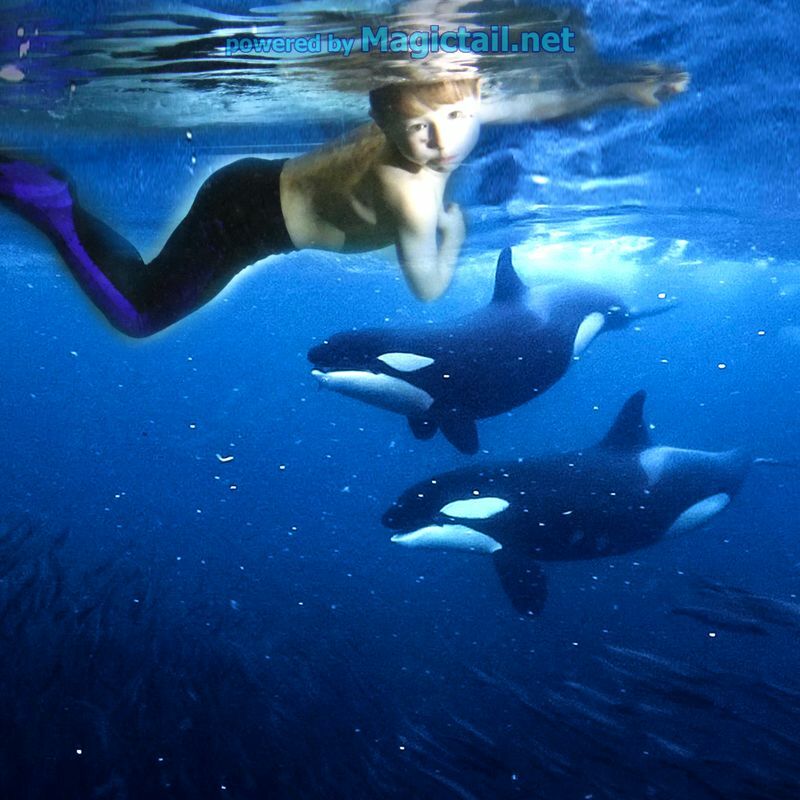 With this original Magictail MerOrca costume children can really swim like a mermaid. The mermaid fish skin is made of a highly elastic swimsuit fabric (80 percent polyamide, 20% lycra) and is resistant to chlorine and salt water. After removing the mermaid's fin, the costume is machine washable at 30 degrees or hand washable. The Magictail Mermaid Fin Super is shaped like a real mermaid's tail. It is made of unbreakable plastic with a 2mm neoprene cover and adapts softly to the foot. 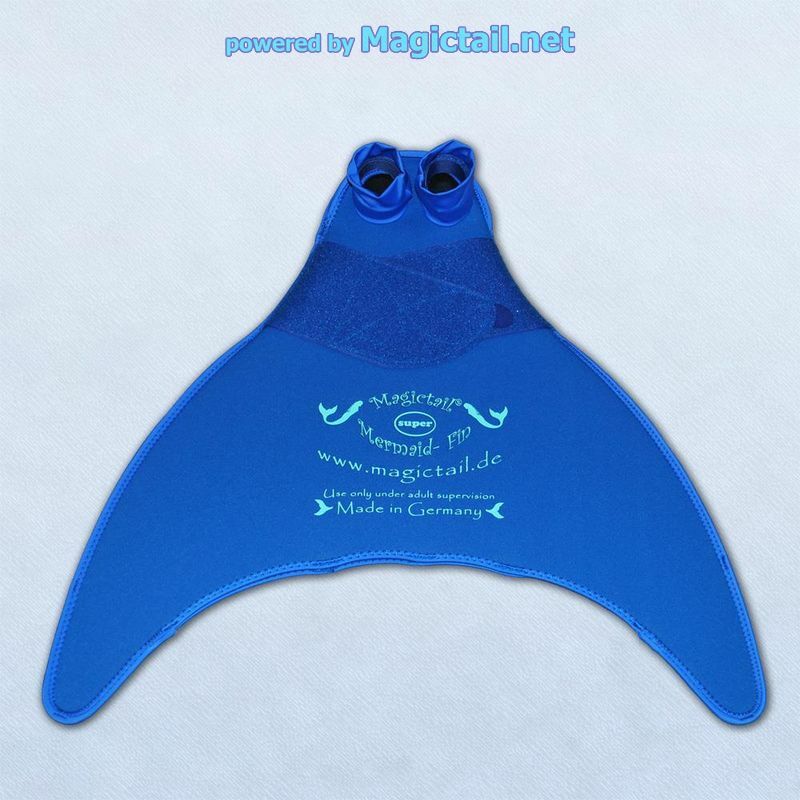 The high-quality neoprene and the extra wide adjustable Velcro fastener provide good support and pleasant comfort when swimming with mermaids. The mermaids tail fin "Super" can be taken out of the costume for washing and drying. Measures of the tail fin approx. 58cm x 60cm. The Super Monofin fits perfectly from shoe size 34 to 39. In the beautifully designed bag "Mermaizing M" the complete "Super" Mermaid Set MerOrca can be thrown perfectly over the shoulder or transported as a backpack. The bag is not waterproof. For safe mermaid swimming and care of the MerOrca mermaid fin set, an easy-to-understand application and care guide is included. 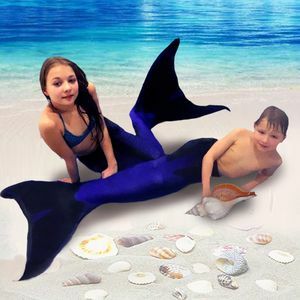 The mermaid costume with integrated mermaid fin is suitable for use in the water, it can be used for swimming. The "Fin-swimming" style is particularly suitable here. Our mermaids fin costumes for children are made in Germany. The MerOrca design is designed with great attention to detail, true to nature and digitally printed here in the district on genuine Italian swimsuit fabrics. The Super Mermaid costume is sewn directly at our location in Waldkirch. Please note the detail pictures of the mermaid fin costume MerOrca. 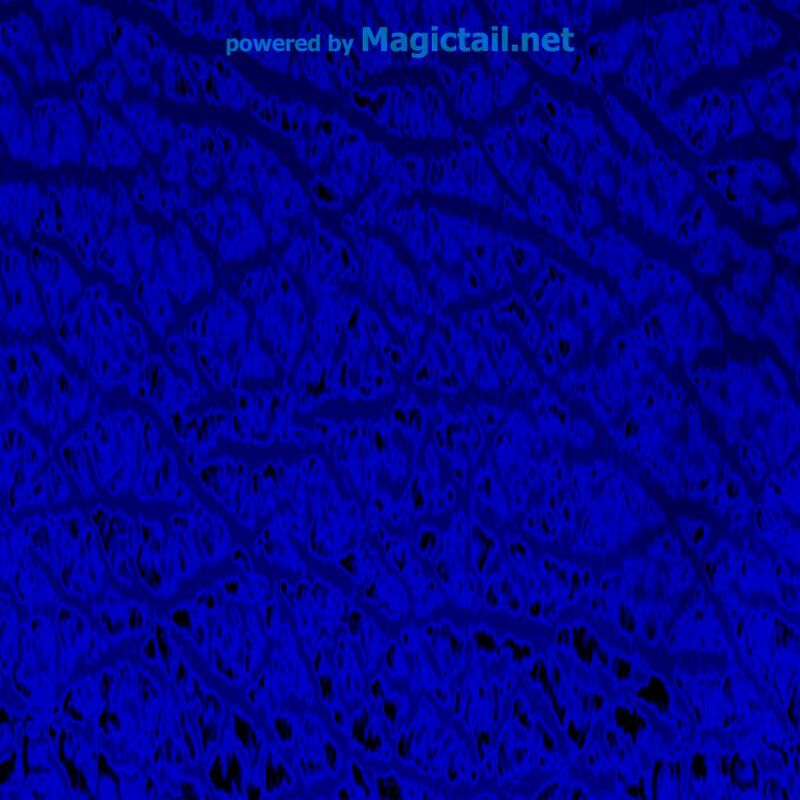 With these natural fishscales in blue and black the dream of real mermaids swimming for children becomes reality.